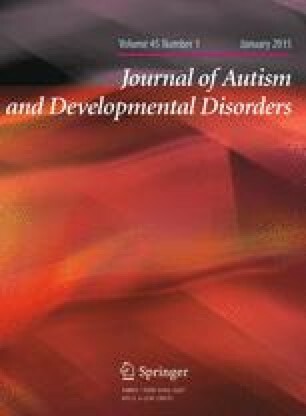 This research investigated whether symbolic understanding of pictures in low-functioning children with autism is mediated by iconicity and language. In Experiment 1, participants were taught novel words paired with unfamiliar pictures that varied in iconicity (black-and-white line drawings, greyscale photographs, colour line drawings, colour photographs). Unlike mental-age matched typically developing peers, children with autism generally mapped words onto pictures rather than depicted referents, however, they generalised labels more frequently in colour picture conditions. In Experiment 2, children with autism categorised a line drawing with its referent, rather than another picture, regardless of whether it was named. Typically developing children only viewed pictures as symbols when they were labelled. Overall, symbolic understanding of pictures in children with autism is facilitated by iconicity (particularly colour), but not language. We would like to thank the children and staff at Hillside Specialist School, Preston (UK), Sandgate School, Kendal (UK), Ghyllside Primary School, Kendal (UK), and Burton Preschool, Burton-in-Kendal (UK). Barrera, M. E., & Maurer, D. (1981). Recognition of mother’s photographed face by the three-month-old infant. Child Development, 52, 714–716. doi:http://dx.doi.org/10.2307/1129196. Callaghan, T. C. (1999). Early understanding and production of graphic symbols. Child Development, 7, 1314–1324. doi:http://dx.doi.org/10.1111/1467-8624.00096. Callaghan, T. C., Rochat, P., MacGillivray, T., & MacLellan, C. (2004). Modeling referential actions in 6- to 18-month-old infants: A precursor to symbolic understanding. Child Development, 75, 1733–1744. doi:http://dx.doi.org/10.1111/j.1467-8624.2004.00813.x. DeLoache, J. S., Strauss, M. S., & Maynard, J. (1979). Picture perception in infancy. Infant Behavior and Development, 2, 77–89. doi:http://dx.doi.org/10.1016/S0163-6383(79)80010-7. Dirks, J. R., & Gibson, E. (1977). Infants’ perception of similarity between live people and photographs. Child Development, 48, 124–130. doi:http://dx.doi.org/10.2307/1128890. Ruxton, G. D., & Neuhäuser, M. (2010). Good practice in testing for an association in contingency tables. Behavioural Ecology and Sociobiology, 64(9), 1505–1513. doi:http://dx.doi.org/10.1007/s00265-010-1014-0. Suddendorf, T. (2003). Early representational insight: Twenty-four-month-olds can use a photo to find an object in the world. Child Development, 74, 896–904. doi:http://dx.doi.org/10.1111/1467-8624.00574.